Starting this year, young people in New Hampshire — and the companies that want to employ them — will have an organization to advocate on their behalf in Concord. Stay Work Play New Hampshire will now engage in nonpartisan, issues-based advocacy for the first time in our 10-year history. We do this as we seek to become even more impactful in our mission to attract and retain young people in the Granite State. While many industries have lobbyists in Concord to advocate on their behalf, the 441,424 citizens between the ages of 18 and 44 have been voiceless, with no group evaluating how the hundreds of legislative bills introduced each year could affect them. Stay Work Play is entering the nonpartisan, issues-based advocacy space this year as a necessity. Indeed, the stakes have never been higher for the future of New Hampshire’s economy, the success of which will become more reliant in the coming years on the availability of workers who can meet the labor demands of employers in our state. Despite the numerous benefits of living here, New Hampshire faces significant challenges. We have the second oldest population in the country with a declining birthrate and only very modest in-migration. We also have the distinction of being the number one per capita exporter of high school graduates seeking a four-year degree, with 59 percent of these smart, ambitious young people leaving New Hampshire each year to pursue a bachelor’s degree. Some of them come back, yes, but many of them do not. And coupled with a 2.5 percent unemployment rate, the present workforce shortage is only going to get worse if public policies in New Hampshire don’t become friendlier to young people. So, what does New Hampshire need to focus on from a policy perspective to attract and retain more young people? We have data on that. • Increased housing affordability: Faced both with above-average rents and limited starter home inventory at relatively high prices, many young people in New Hampshire simply cannot afford to live here. Stay Work Play supports measures to increase both the types and affordability of housing suitable for young people and young families. • Decreased education debt: New Hampshire’s per capita public investment in its higher education system is one of the lowest in the country. As a result, we have one of the highest average student debt loads in the nation. Stay Work Play supports measures to lower the cost of higher education in New Hampshire and to provide solutions for those struggling with education debt. 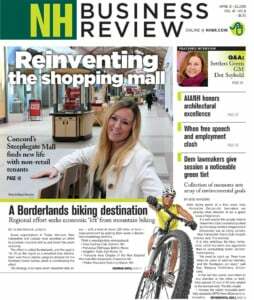 • Protection of New Hampshire’s outdoor advantage: Our state’s many outdoor recreational amenities are a magnet for young people. Stay Work Play supports measures to protect these irreplaceable natural and recreational amenities and the economic benefits they make possible. As the 2019 legislative session gets underway, Stay Work Play looks forward to working with legislators from both parties on these truly nonpartisan issues which must be addressed as we all look to attract and retain more young people here in New Hampshire now and in the years to come. Will Stewart is executive director of Stay Work Play New Hampshire.